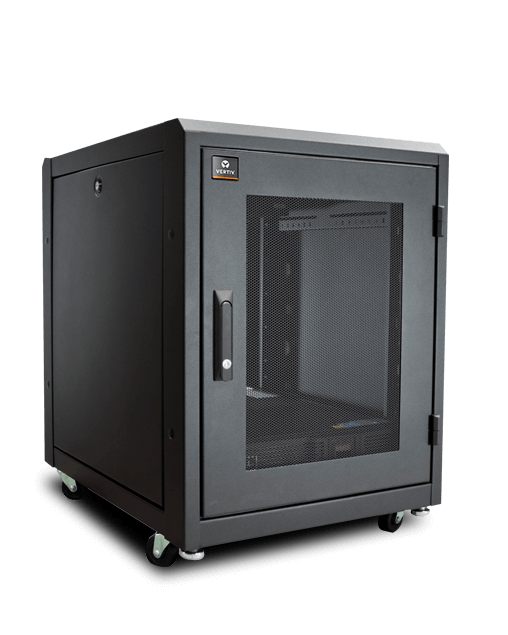 The Vertiv SmartCabinet is a turn-key solution that contains all supporting infrastructure needed to properly deploy IT in branch office settings. By using the SmartCabinet solution, you can quickly establish a standardized rack system that simplifies deployment, integrates essential infrastructure, maximizes uptime and protects assets. The SmartCabinet, a pre-fabricated, pre-engineered system that is optimized, validated, and tested to support an application or prescribed IT load offers secure remote management and monitoring capabilities, enabling IT organizations to manage branch IT assets as an extension of their data center. The SmartCabinet provides project management for large-scale deployments and is configured to be procured and deployed as a single, integrated, repeatable package, tailored to the application. For SmartCabinet Specifications see the Brochure.